You shouldn't have to be stuck in a dead-end job just trying to pass time until your next payday. You should be able to find a career that you love and a workplace that you can't wait to get to each day. 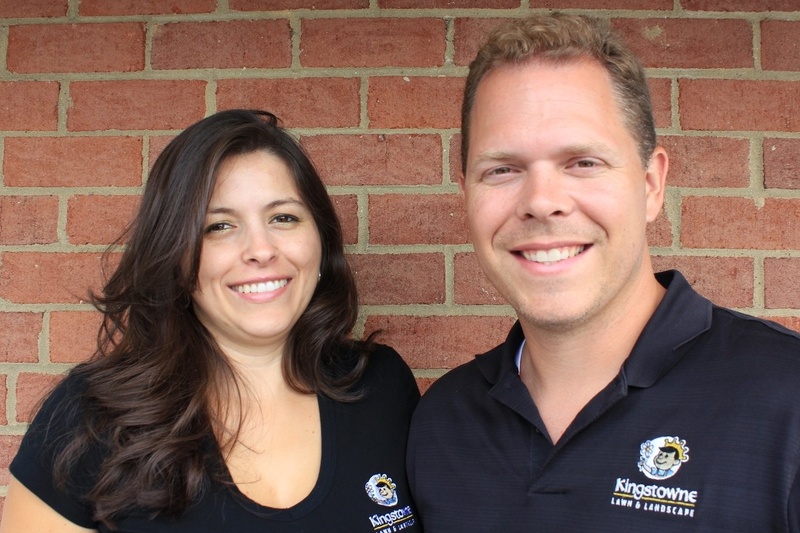 At Kingstowne, we don't just build landscapes. We build careers. If you're looking for more opportunities, there is a path we welcome you to take as you grow with us over the years. Account managers are responsible for managing a portfolio of residential landscape maintenance accounts. The division manager will work with internal and external customers on a daily basis, meeting budgets, and goals. Lawn technicians perform maintenance of lawns & gardens. Lawn technicians must be able to perform all tasks of operations including but not limited to applications, mowing, line trimming, blowing, leaf and debris removal, weeding, edging, hedging, raking and mulch installation. Crew leaders should have the leadership skills necessary to manage a crew to the completion of an install or maintenance project. Crew members are responsible for installing and maintaining landscapes. In our industry, it's common to find landscaping companies with a revolving door of employees. Over half of our team has been here for more than 10 years! And we'd love for you to be part of our family, too. View our current openings on this page. Do you enjoy being outside? Are you a nature lover? Our growing landscaping company is looking for the right person to join our lawn care team! Kingstowne’s Lawncare Technician is responsible for providing the fertilization and weed control of lawns and beds for the company's clients. We’ll train you to do the work and make great recommendations to our clients. Plus, we'll give you the resources and opportunity to take state certification testing. This will allow you to advance your career to a Plant Health Care Technician or Lawn Care Manager! We provide competitive wages, health insurance, life insurance, retirement plan with a 3% match and the ability to earn other benefits including paid vacations and holidays. Kingstowne Lawn & Landscape is proud to be a drug-free workplace. Background check, valid driver’s license & a sense of humor are required. Do you enjoy the outdoors? Do you enjoy physical activity? We are looking for energetic, enthusiastic team members to install and maintain our beautiful properties. We provide competitive wages, health insurance, life insurance, retirement plan with 3% match and the ability to earn other benefits including paid vacations and holidays. Kingstowne Lawn & Landscape is proud to be a drug free workplace. Background check, valid driver’s license & a sense of humor are required.